I started off with a 5-1/2” x 8-1/2” piece of Primrose Petals card stock and scored it at 4-1/4”. Next I cut a piece of More Amore DSP 3” x 6”. I place the DSP onto my Borders Scoring Plate at an angle and scored one wavy line. Then I used Paper Snips to cut along the line. I adhered the bottom piece of DSP onto the card front and trimmed the DSP that extended past the edge of the Primrose Petals card stock with Paper Snips. I was going to just have the bottom piece of DSP, but decided to go ahead and use the other piece for the top of the card front. I adhered the DSP in place and trimmed it with Paper Snips where necessary. 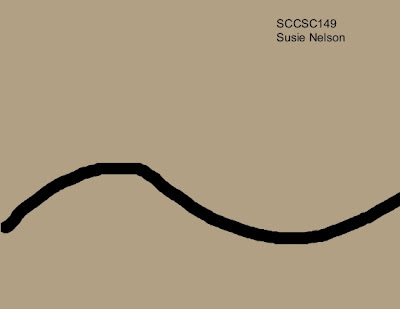 Next I stamped the greeting from Sassy Salutations onto the card in Raspberry Ripple ink. Then I applied some Dazzling details on both of the wavy edges of the DSP. Can’t have a card without at least a little bit of sparkle, right? It also hides the not so perfect cut edges. I already had the Pool Party and Whisper White butterfly pieces in my scrap bowl from another project. 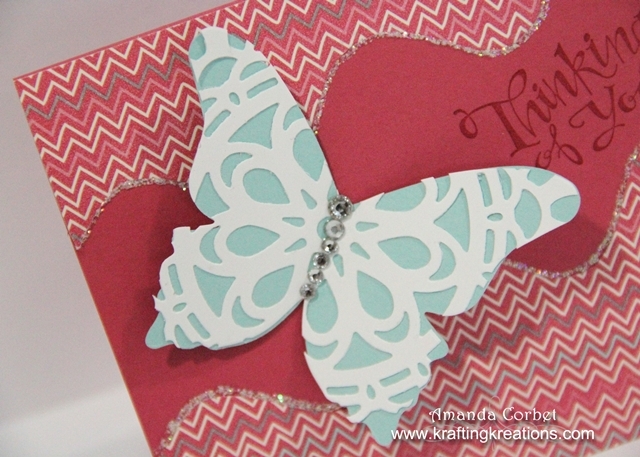 But in case you would like to make it just cut a piece of Pool Party card stock and Whisper White card stock large enough to fit the Beautiful Butterflies Die. Die cut both pieces in the Big Shot on the Beautiful Butterflies die. Then take the Whisper White butterfly and run it through the Big Shot again on the Paper Doily sizzlit. Punch out all those little pieces and use 2-Way Glue Pen to adhere the Whisper White lacy butterfly on top of the Pool Party butterfly. 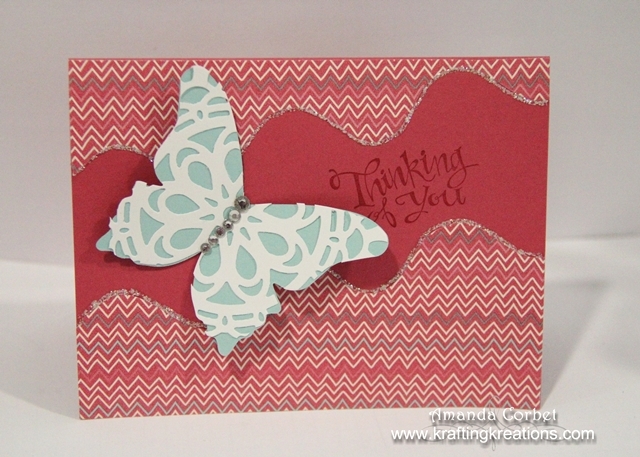 I used Glue Dots to adhere the butterfly onto the card front, then added some Rhinestones for the butterfly’s body.